If you would like to join us for an enjoyable day out along the Surf Coast in Victoria, then you are most welcome to come along for the social photography meet I am hosting. It will be a good opportunity to meet new people who share a common interest, soak in that great coastal scenery on the Great Ocean Road, and of course enjoy photographing whatever catches your eye. If you have any queries about the meet, please contact me by email or phone. Cheers. 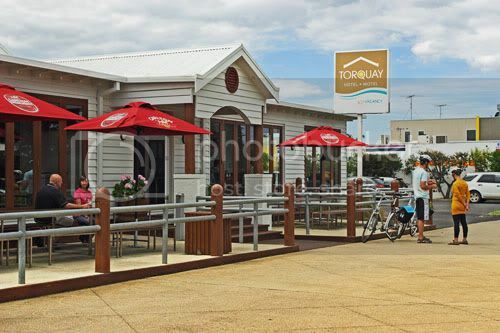 This meet presents friendly people an opportunity to meet new folk with a common interest and socialise during lunch in the relaxed atmosphere of the Torquay Hotel in Bell Street, Torquay. 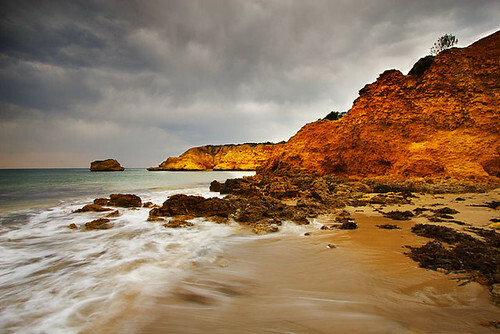 From the hotel, people may head out along the route to enjoy the coastal scenery and snap away to their heart's content. Name tags will be supplied. 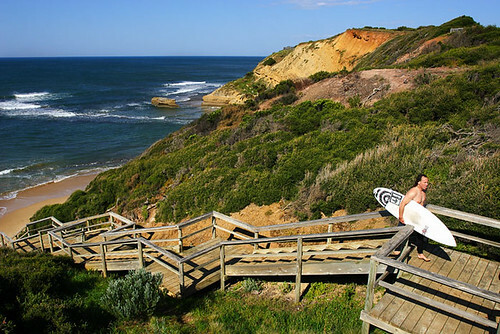 The Surf Coast in Victoria is a brilliant region for travel photography. Part of the world-famous Great Ocean Road tourist route, the Surf Coast can toss up interesting weather conditions at times, which makes for excellent photographic opportunities. These are just some of the scenic places you can photograph during a great day out along the Surf Coast on the Great Ocean Road in Victoria. To assist with future planning, Darren Stones will supply each guest of the Surf Coast Social Photography Meet a brief survey sheet to complete and return on the day. It's always good to travel to country areas in Victoria, and on Wednesday 19 October 2011, I had the pleasure to visit the Lal Lal Moorabool Photographic Group. What a great group of people who love their photography and a fun and relaxed night out. The club is new and formed in early 2011 as a result of their first meeting on Wednesday 16 February. Club Secretary Kristina Kitchingman is a founding member who was involved in initiating the group and during my visit was kind to show me some information of how the club is evolving. The Moorabool Shire is assisting the club with various activities and gave the club a grant of $3000.00 to kick them along. 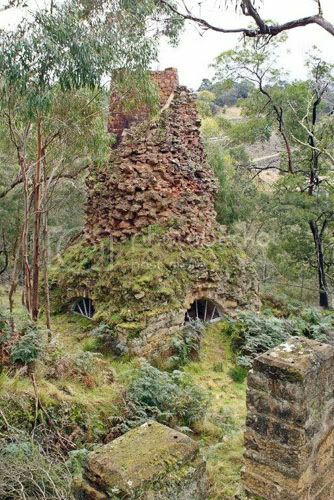 Club members are displaying prints and digitally projected images at the Bacchus Marsh Library, and members are supplying photographs to be included in an upcoming shire calendar. Water drops thirty metres into the gorge formed by the collapse of lava tunnel apparently formed from Mt Buninyong, which is an extinct volcano. Local newspaper coverage has assisted them in promotional activities and attracting new members, and already they have conducted their first exhibition on 26-28 August 2011 at the Lal Lal Soldiers Hall, which attracted 80 visitors each day. The club is now discussing fundraising activities and they are looking to conduct sausage sizzles at the Bunnings stores at Ballarat and Melton. Field trip ideas are being discussed, with member input being encouraged. The club is conducting a competition each month with the aim to inspiring members to be active photographers. 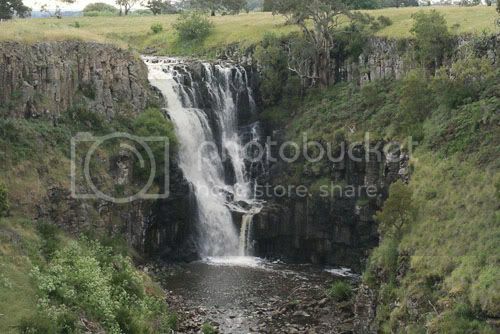 An end-of-year BBQ and picnic is planned and will be held at Lal Lal Falls on Sunday 18 December 2011 at 12pm. BYO BBQ meat, picnic, drinks, chair, and of course your camera. Visitors are most welcome. 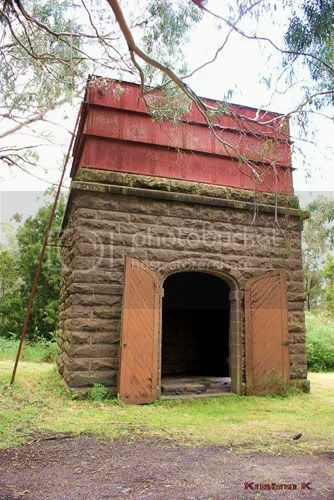 Original water tower built to service the Geelong/Ballarat railway line. The club meets on the third Wednesday of each month at 7pm (except January) at the Lal Lal Soldiers Hall, 412 Clarendon Road Lal Lal. They invite visitors to join them for exploring all aspects of photography and the local area of Lal Lal. An information brochure is available on the night to visitors and prospective members. For further information about the Lal Lal Moorabool Photographic Group and its activities, contact Club Secretary Kristina Kitchingman on 03 5341 7535. Photographs courtesy of Kristina Kitchingman. At the moment I am half way through the Mental Health First Aid Standard Course under the instruction of Master Instructor Joe Zammit of the Norwood Association. Joe is an absolute gentleman, and a great instructor, too. I have learnt a great deal about Mental Health First Aid already due to his skilful presentation, and I am looking forward to completing the course this Friday. I enjoyed spending some personal time with Joe during our lunch break last Friday in a cafe at Docklands, where we shared ideas and discussed various issues about mental health, as well as chatting about presentation methods. The course is for anyone, and as described on the Norwood Association site it "can help you identify symptoms, causes and risk factors and teach you how to identify and respond to someone who may be suicidal, experiencing a panic attack or acute psychosis." The 12-hour course is designed to teach adults the skills to assist adults who are experiencing symptoms, causes and risk factors related to depression, anxiety, psychosis and substance abuse. The course can teach you how to preserve health by minimising the risk of suicide and self harm, recognise different mental health disorders, explore treatment and resources for common disorders, improve mental health literacy and help reduce stigma, and apply mental health first aid in acute situations. Mental health first aid is designed to assist a person until professional treatment is received or until the crisis is resolved. Had the pleasure of attending the Spectacular Photographic Seminar hosted by the East Gippsland Photographic Society in Bairnsdale Victoria on the weekend of October 8 and 9, 2011. The venue was St Mary's Church Hall and the seminar was great fun. Friendly members from the club greeted Bronwyn and I, and we enjoyed making many new friends from the local club and various other photography clubs in Victoria, New South Wales and South Australia. 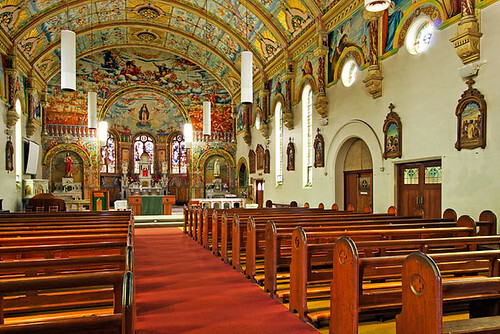 During my visit, I had little time for taking photos due to the busy program, however during the lunch break on the Saturday, I was able to take this shot of the stunning interior of St Mary's Catholic Church. The seminar provided an excellent learning and interactive experience, with a good variety of speakers covering a wide range of topics. Sure was an interesting program on the Saturday, and without doubt the Judging Competition Photos discussion sure stirred up some interesting debate. All presentations on the Saturday were entertaining and I learnt a few things, too. It was a good opportunity to ask questions and interact with guest presenters. Day One ended with about 20-25 guests enjoying dinner together at the Bairnsdale Sporting Club. That was a good opportunity to meet some more friendly folks and discuss various photography related topics. I have to make mention of East Gippsland Photographic Society club member Ronnie Curtis. Ronnie warmly welcomed Bronwyn and I, and made us feel most comfortable during the two days. She was keen to learn a few things from me and sought some feedback on her photos. I was happy to oblige and share some thoughts and expertise. Elden Marshall took my rather late booking just a few days before the seminar, and I would like to acknowledge him for being so welcoming, too. In summing up the seminar, I found it an enjoyable learning experience on two fronts - photographically and professionally. As someone moving towards presenting in the future, the experience was invaluable. I had a great time and met new friends.